Lock in a great price for Renoma – rated 9.7 by recent guests! The hotel and staff were wonderful, it was a great stay. The hotel was stylish and breakfast was delicious. We had a perfect time at Renoma. The hotel is beautifully designed, the room is sparkling clean, spacious and with attention to details, it was the best room we had in Tel-Aviv! Staff were extremely friendly and helpful. Room was spacious and beautiful. Superb location (with parking on premises!) The fresh juice and pastries at the door in the morning were a nice final touch to a wonderful stay. Will return! Everything!! The staff was so helpful, breakfast delivered to our room and the insanely beautiful room!! Amazing service! Spacious and clean, location and more of all - the human touch! Shani was incredible! I will definitely return there! We stayed with our 3 girls and had the best time ever. 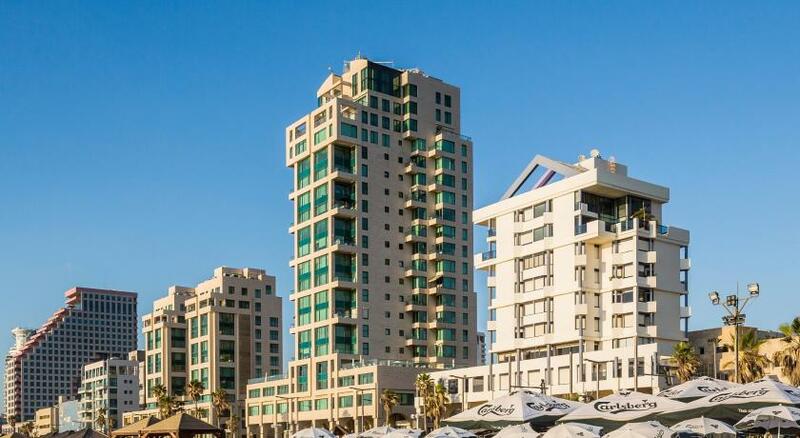 Perfect location - 20 meters from Tel Aviv beautiful beach. And walking distance from the center. Lots of bars and great restaurants around. The room is huge, spotless and designed with great taste and lots of attentional to the small details. Highly recommend. Renoma hotel is perfect! 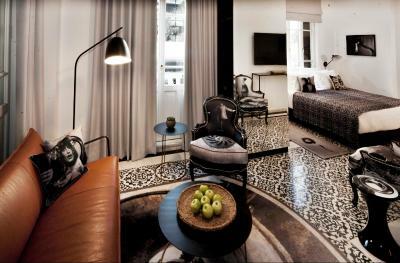 Beautifully designed rooms, lots of space and luxurious feel. The staff is really friendly and attentive to every request. 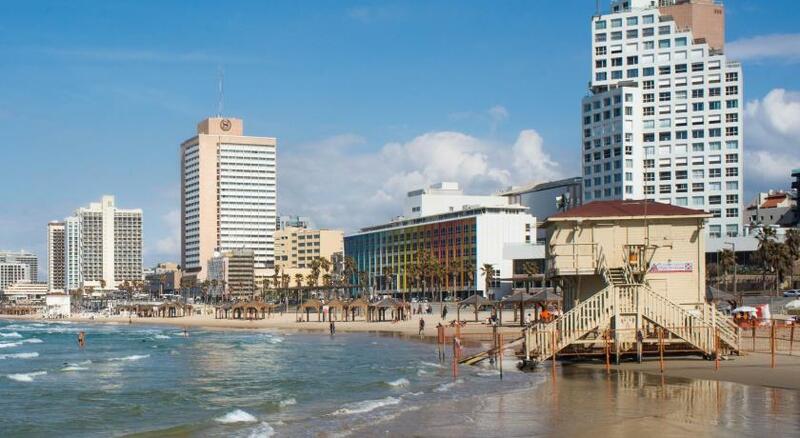 The hotel is at a perfect location in Tel Aviv- the beach is 20 meters from the hotel and restaurants and bars are just outside the hotel. We will definitely come back again. Staff is super helpful and friendly! They really made our stay special! The hotel is nice and design is very interesting. The hotel's staff were really friendly and helpful. 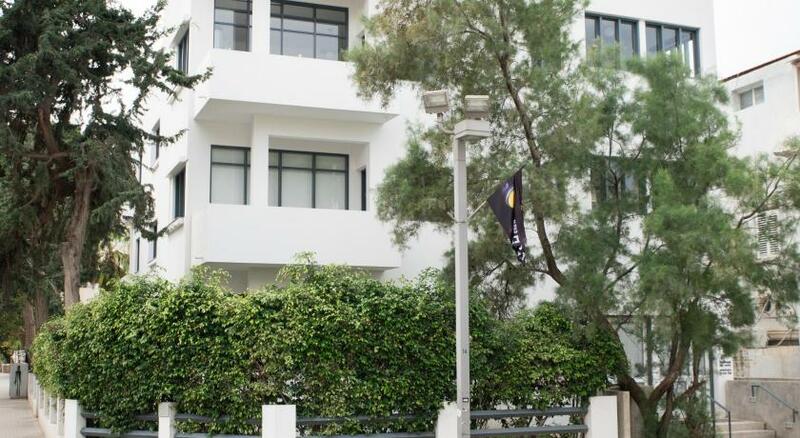 A few steps from the nearest beach, Renoma offers accommodations in Tel Aviv near Meir Park and Dizengoff Square. All guest rooms at the hotel come with a seating area, a flat-screen TV with cable channels and a private bathroom with free toiletries and a bath or shower. Renoma features certain units with sea views, and rooms include a coffee machine. The units will provide guests with a desk and a kettle. Guests can enjoy free use of a gym nearby, 500 feet form the property. Nachalat Benyamin Crafts Fair is 2,950 feet from Renoma. The nearest airport is Ben Gurion Airport, 14 mi from the hotel. When would you like to stay at Renoma? Private parking is available on site (reservation is needed) and costs ILS 75 per day. This apartment has a sofa, seating area and electric kettle. This apartment has a bathrobe, seating area and tea/coffee maker. House Rules Renoma takes special requests – add in the next step! Renoma accepts these cards and reserves the right to temporarily hold an amount prior to arrival. next to the hotel is a construction site! If you want a quiet room it will be not possible,as the manager explained to me! I have rated the hotel as just "good", not "excellent" because there's a buildingsite around - it was noisy and the view wasn't that good. I think, after a year or so this hotel may become a real gem. 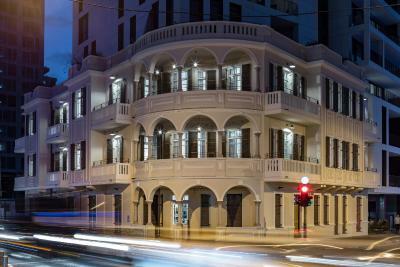 A beautiful boutique hotel on a great location. Highest quality materials, art and fantastic design. We were moved by the attention and care of the owner and staff. The breakfast was delicious with amazing bread, eggs and local delicacies. Amazing in every respect!! Lots of inconveniences such as the parking process which takes a long time, the breakfast place which sometimes has no free space, there’s no room service or ability to get a coffee there after 5pm, no lobby and so on.. The staff is nice and tries to be helpful, also the rooms are nice. Awesome location in the middle of the wonderful lovely city of Tel Aviv-Yafo. Very close to the water. The room had see view. It’s only fine tuning... we will definitely visit Renoma again soon.